circular knitting needles, size 10. 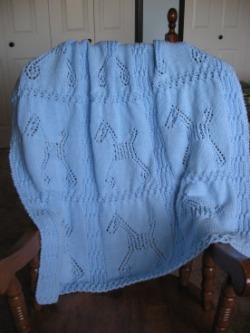 Set up pattern as follows: Work first 2 sts of graph for right border, then work section A for three repeats, and end with section C.
Special Note: The "key" at the bottom of the page is only applies to the "horse" in the center. The border is formed by 1x1 cables or twist sts -- [RT(right twist) or LT(left twist 2)] The bolded lines are only there to outline the cables and show where they travel. See glossary if you are unfamiliar with twist sts. Work in pattern as set through row 7, then, still in set pattern, repeat B three times, and end with final row at top of graph. Click on graph to download a jpg file for printing and resizing. 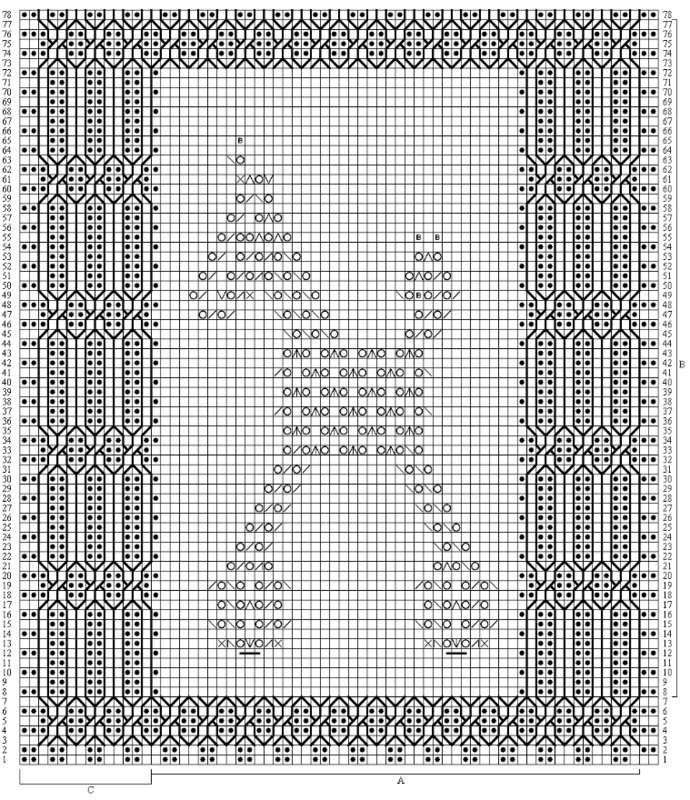 The graph and key were made using a nifty program created for the purpose of designing charted knitting directions --Knit Design Studio. It is now available for download as a trial version for those interested in creating their own graphed patterns.